Home → News → Get Healthy – and Save Money – with the Healthy Hound Program! Get Healthy – and Save Money – with the Healthy Hound Program! The Healthy Hound Program offers ATU members (and their enrolled spouses) activities to help improve our health. When we complete a Healthy Activity (from October 1, 2016 through September 30, 2017), we can avoid the $300 individual surcharge (up to $600 per enrolled couple) in 2018. Note: This surcharge is an increase from last year and is now an individual surcharge that applies to the member and to his or her spouse, if applicable. Employees and spouses enrolled in the ATU Preferred or Value Medical Plan. What are the Healthy Activities we can do to avoid the surcharge? 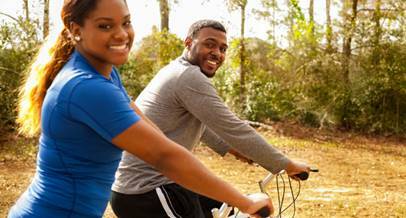 · If you have a chronic condition, such as asthma or diabetes, Cigna may contact you to participate in Cigna’s Your Health First program. You must participate in this program to avoid the surcharge. o Get a preventive health screening. Visit the Healthy Hounds website for more information: www.healthyhounds.info. If you have any questions, call the Trust Office at 800-288-7766.